However, fence contractors tell their clients that spring is the ideal time to have their new fence installed. That’s because since most homeowners typically wait until the late spring/early summer to have their new fence installed, early spring is a slow time for contractors and clients are far more likely to be able to book something quickly while beating the rush. Why Are You Installing a Fence? Before you call a contractor to install a fence, you should have a clear purpose as to why you’re putting it up. Is it for privacy or safety? Do you have a pool you want to keep your young children away from? 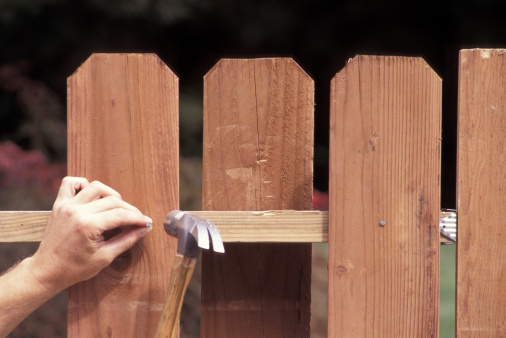 Regardless of why, knowing the purpose of your fence will help you to determine the best way to go about building it. When having a fence installed, you will need to decide on the best style. If you are on a budget, chain link fences are a sturdy yet affordable option, while if you’re looking for privacy, consider wood or PVC. If you’re looking for something stylish, however, ornamental fences should be at the top of your list. Before you call a contractor for fence installation, it is strongly recommended that you check to see if there are any building codes and bylaws in your area that they will need to know about. You should also be sure of where your property lines are and if there are any buried cables or pipes. 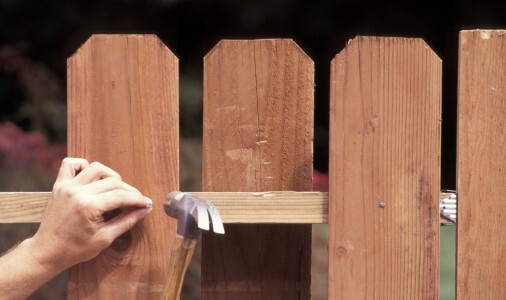 Before you start work on your fence, courtesy states you should let your neighbours know that you are planning to install it, as well as inform any homeowners associations in your area. And if you and a neighbour’s properties share a fence, make sure that your neighbour is fine with the look of the new one. Wait until after the ground frost has thawed before you book your fence building project as a frozen ground can be hard on a contractor’s tools and slow their pace. You should also keep an eye on the weather forecast and book a contractor during a stretch of dry weather; heavy mud is difficult to work in and yard work when your lawn is wet can cause damage to your grass. If you’re planning fence installation for this spring, call Total Fence Inc., one of the top fence contractors in the Greater Toronto Area. We offer a variety of styles of fences at an affordable price for both residential and commercial customers. For more information contact Total Fence Inc. today!